Here's the latest in my Jenna book. Click to enlarge if you like. I adapted a template from www.thepaperiris.blogspot.com; Hearts by annabvdesigns@gmail.com; Text by http://pacitubes.blogspot.com; Bird CP_P ssaro 02; Peas by www.irenealexeeva.blogspot.com. We've saved a bundle since canceling long distance service to our home phone and buying an AT&T phone card from Sam's Club for only pennies per minute that we use for long distance calling. It doesn't expire and we are "paying" only when we use it, not every day of the month! It's a good way to keep track of how much you're talking long distance too! The total cost was whatever the card was including tax and time spent was nothing because I was already there shopping. And how is this inspirational? We are to be good stewards of all God gives us! This is not only saving money, but recycling! Praise the Lord in ALL THINGS! If you'd like more of these, let me know and have a super day! 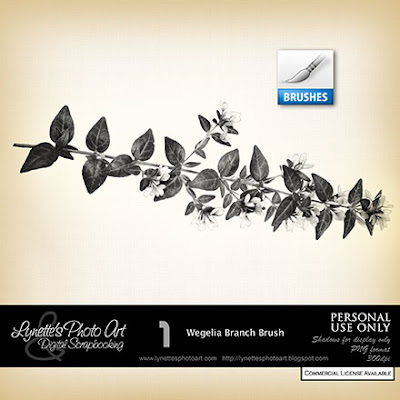 Today's freebie is a brush of a Wegelia Branch complete with flowers. Thank you! Your blog post will be advertised on the DigiFree Digital Scrapbooking Freebie search engine today (look for timestamp: 19 Aug [LA 07:00pm, NY 09:00pm] - 20 Aug [UK 02:00am, OZ 12:00pm] ). Thank you! 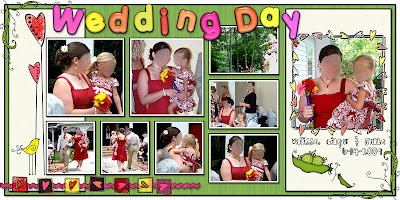 Your blog post will be advertised on the DigiFree Digital Scrapbooking Freebie search engine today (look for timestamp: 19 Aug [LA 11:19pm] - 20 Aug [NY 01:19am, UK 06:19am, OZ 04:19pm] ). Thanks a lot for your freebies! I love them. You are very talented.